At SJNRCS, it is our responsibility to ensure our students are fully prepared to become successful high school students and eventually be competitive in the global economy. Using technology has become an integral tool in helping our school fulfill this responsibility. The Extended Day Program (EDP) is an after-school enrichment program for current students in grades Kindergarten through Eighth grade. We provide trained adult supervision, homework assistance, outdoor play, arts and crafts, board games, organized activities, free play, and a light snack daily. No transportation is provided and the program does not take field trips. 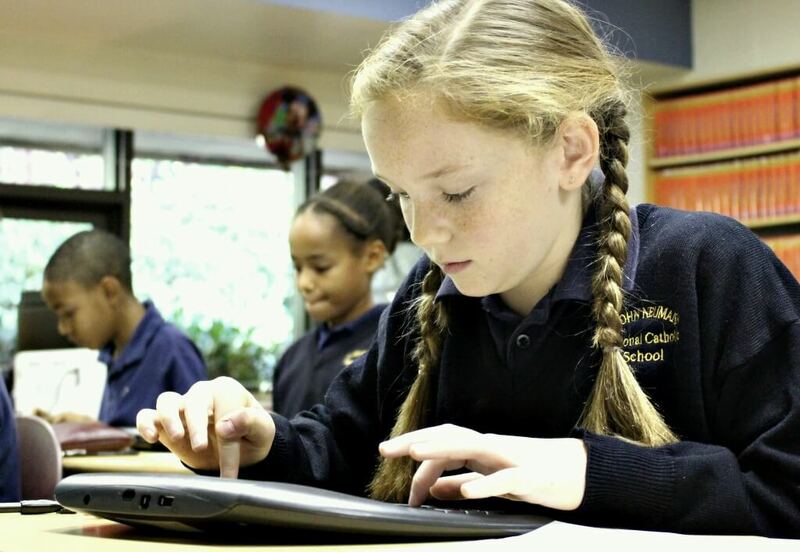 The students at St. John Neumann Regional Catholic School are involved in numerous activities during the school day and after their academics end. To enrich our school, there are many opportunities for students to exhibit their talents, exercise their bodies, sharpen their minds, and volunteer their time.